In the world of foods that come on a stick, there is a fine line between awesome and just plain scary. While candy apples and popsicles are sweet treats we love, hard-boiled egg on a stick and fried butter on a stick are two treats we wouldn't mind skipping out on. Today's WagJag deal offers you the chance to try a sweet treat that deserves a top spot on the awesome food on a stick list: $20 for $50 towards cake lollies and more and Lisa's Cake Lollies & Treats. Your voucher is good for $50 towards hand-made cake lollies, cupcakes, treats or cookies made to suit any occassion from Lisa's Cake Lollies & Treats. 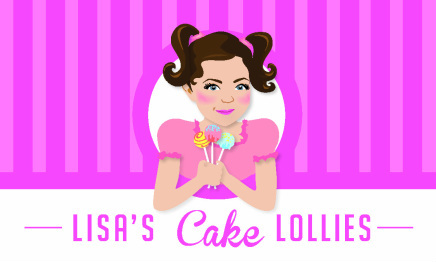 Whether you are hosting a themed kid's birthday party, wedding show, graduation or end of summer bash, Lisa's Cake Lollies & Treats can work with you to create a custom cake lollie or cupcake design that will be the talk of the party. Cake lollies can be made from a variety of 20 flavour choices like lime cake, chocolate mint, brownie, strawberry cake or rainbow chip cake. Lollies are then dipped in your choice of flavoured or coloured chocolate to make sweet combinations like chocolate mint, chocolate peanut butter or brownie cake covered in hot pink chocolate; yum!